I’m excited to add another farm-related activity to my collection of farm printables today. 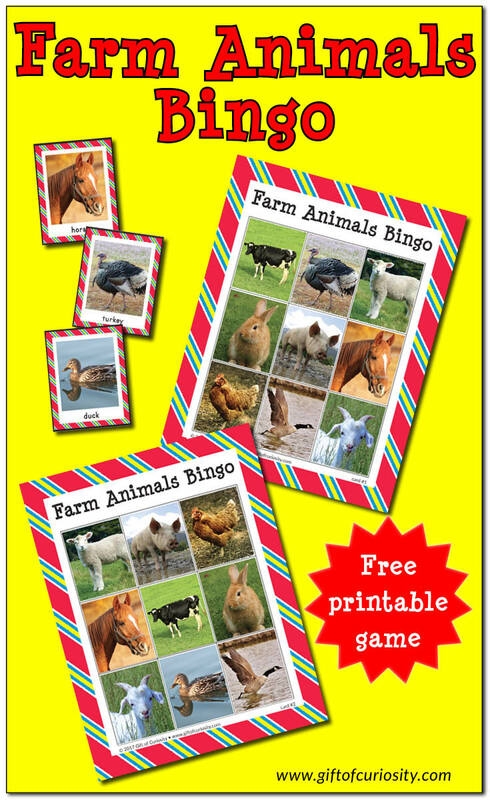 I’m especially excited about this Farm Animals Bingo game because it uses real photographs of farm animals, which helps children learn to identify them. 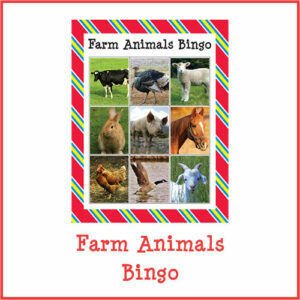 I hope your children will enjoy this Farm Animals Bingo game! 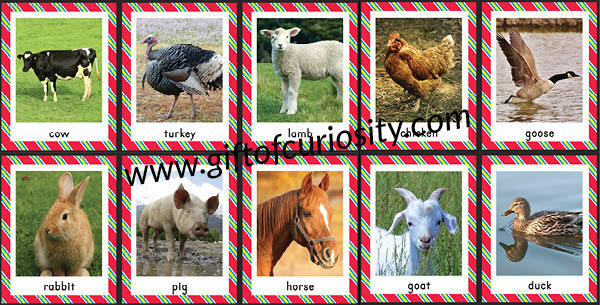 Playing Farm Animals Bingo will help children learn to identify and name these farm animals. You can even add a bit of fun to the game by having children make animals sounds as you play. Moo! Oink! Baa! Changing up the rules each time you play Farm Animals Bingo is a great way to give kids’ executive functioning skills a workout. For example, the first time kids need to get a straight line to win. The next time kids need to get the four corners to win. The next time kids need to fill in all squares to win. Mixing it up like this will help kids develop flexibility in their thinking. You can play blackout Bingo, four corners Bingo, or line Bingo with these cards. 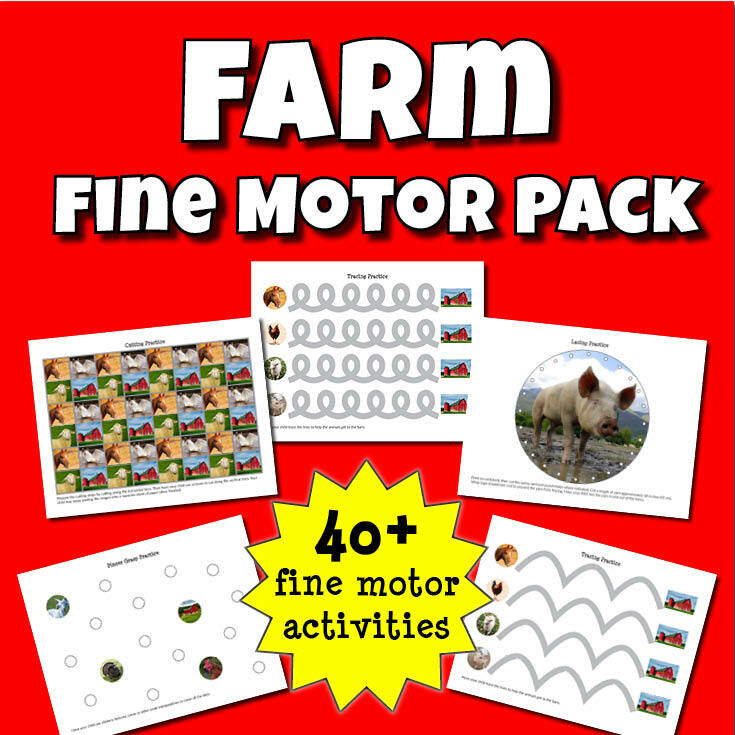 No matter how you play, my Farm Animals Bingo game provides a great opportunity to learn about farm animals while having fun at the same time. 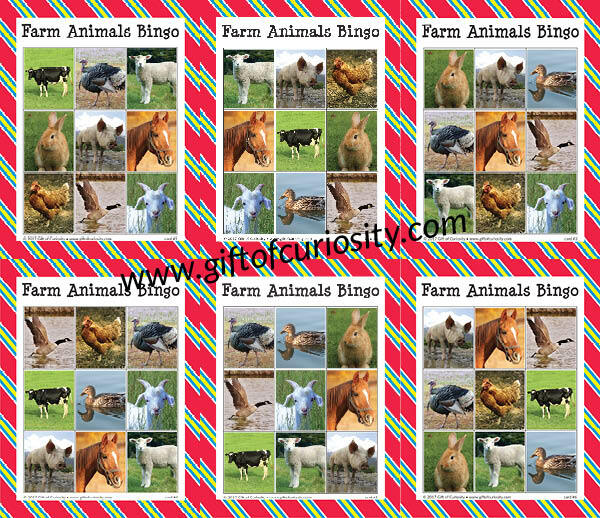 Want a copy of my Farm Animals Bingo?